Join me in Ecuador in 2020! 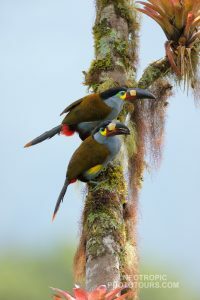 Ecuador is home to a great variety of species, many of them endemic. The species diversity makes Ecuador one of the seventeen mega-diverse countries in the world. 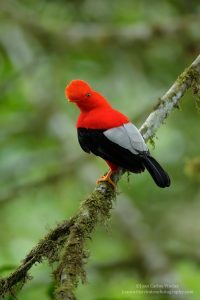 This country also boasts more than 1600 species of birds, pristine cloud-forests, vast mountain ranges, and grasslands that are breathtaking. Culturally speaking the country is very safe, clean, and easy to travel. The US dollar is the currency of choice, and with a solid infrastructure of highways, it’s a pleasure to travel this country. One would be hard pressed to find a better place in the world to accomplish your photographic goals. Your leader Juan Carlos Vindas will lead you on a most productive, and practical tour. Air transportation to the capital city of Quito, is quite easy from Miami, and Houston serving as prime departure hubs. This photo tour begins with your arrival to Quito’s Mariscal Sucre International Airport (UIO) where one of our representatives will be waiting for you outside to transfer you to our first hotel, located just 20 minutes away! And not only that, but if you arrive early enough, you could start taking pictures at the hotel grounds right away or just rest after a long day of traveling! Then we will spend 4 nights, and 5 days in the world famous Mindo area. 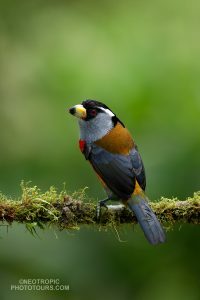 We will visit 4 of Ecuador’s finest bird photography lodges. 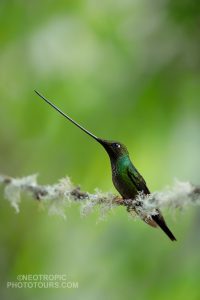 At each lodge, you will photograph a diverse number of hummingbirds and many other colourful birds, giving you the opportunity to create your own exclusive portfolio of neotropical bird images. Also, we will visit several private gardens and blinds, where you will have the opportunity to photograph many colourful birds and hummingbirds coming to feeders where Juan Carlos will help you get the shot of your dreams by using natural-looking perches and with smooth backgrounds! 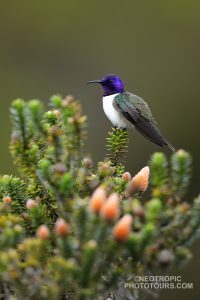 The photo tour starts in the cloud forest slopes of northwest Ecuador where we will focus our efforts on photographing the amazing diversity of hummingbirds and tanagers that inhabit the cloud forest at various altitudes and life zones. 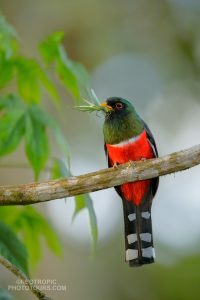 Then later, we will travel to the eastern side of the Andes for totally new species of birds! 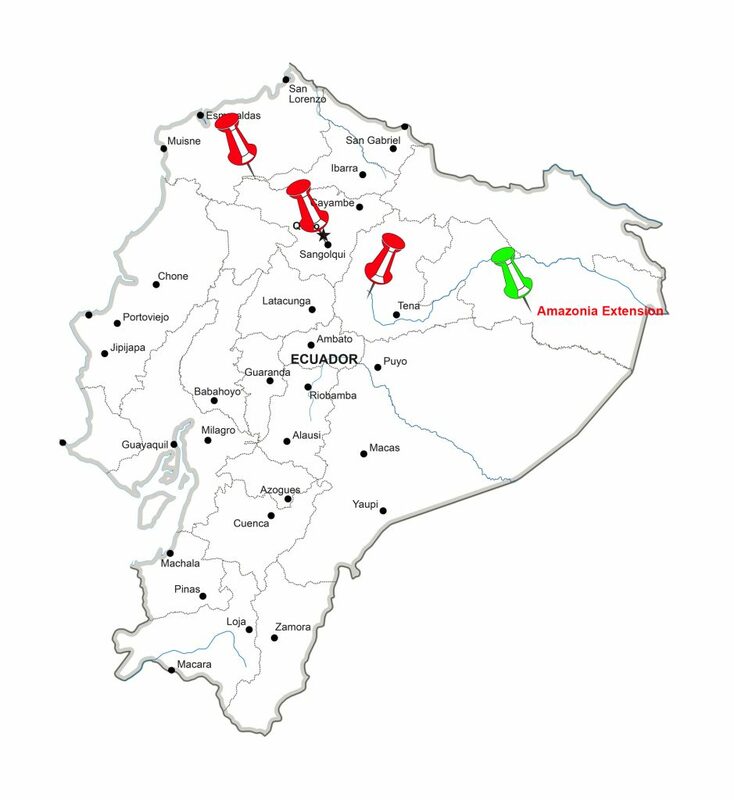 We will travel in an altitudinal gradient that ranges from 600masl up to 4000masl on both Eastern and Western slopes of the Andes plus we will visit the Antisana and Cayambe-Coca Reserves, both world-famous for their unique ecosystems and bird species. Let me show you Ecuador from my perspective! Day 1: Arrival in Quito: One of my co-workers will be waiting outside the airport to take you to the hotel for the first night. Depending on your arrival time you could begin to take pictures at the lodge garden where many bird species can be seen. Dinner is included if you arrive before 7pm local time, lunch is not. Day 17: Quito: Fly home! B. Accommodations are for two persons per room. Once I have received your deposit; I will send you a suggested gear and clothes list. +Neotropic Photo Tours always focus on a total personalized tour with the photographer in mind. + Neotropic Photo Tours always use local guides as they have the most current knowledge, and locations of our targeted species. +All entrance fees to private gardens/ecological parks and/or reserves visited. +All accommodations, based on double occupancy. +Tips for local guides, waiters, maids and bellboys are included, tip for your tour leader and driver is NOT. +Passports should be valid for more than 6 months after the end of your visit. A $1500 non-refundable deposit is required to reserve your seat on this tour. The balance of the payment is due before June 30th. 2020.